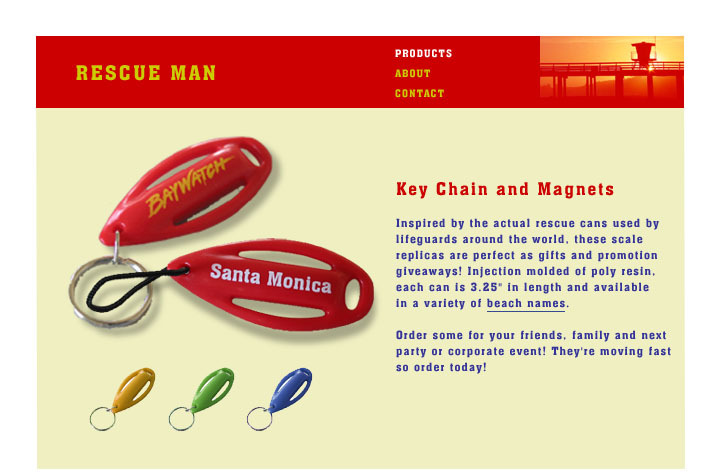 Rescue Man was the brainchild of Jeff White, a lifeguard with Baywatch in Malibu, California, an entrepreneur and a collector of all things eclectic. 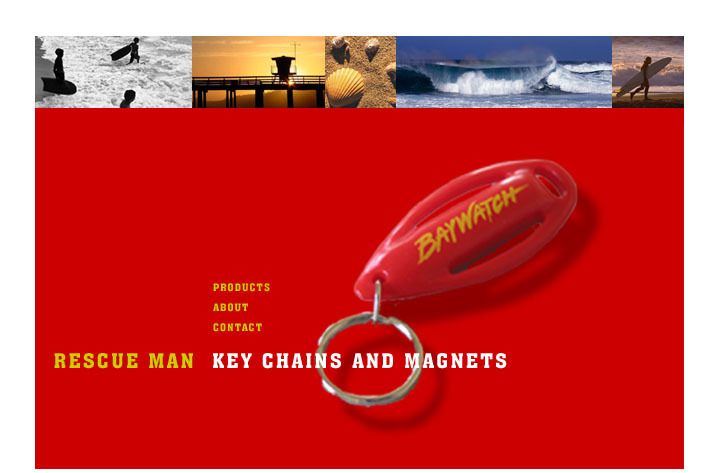 Jeff had the idea to create officially licensed and branded Baywatch keychains and magnets that featured the names of various beach cities. Together, we created a vibrant yet simple html site that showcased his product and allowed customers to see a list of available beach names and to track current levels of inventory.